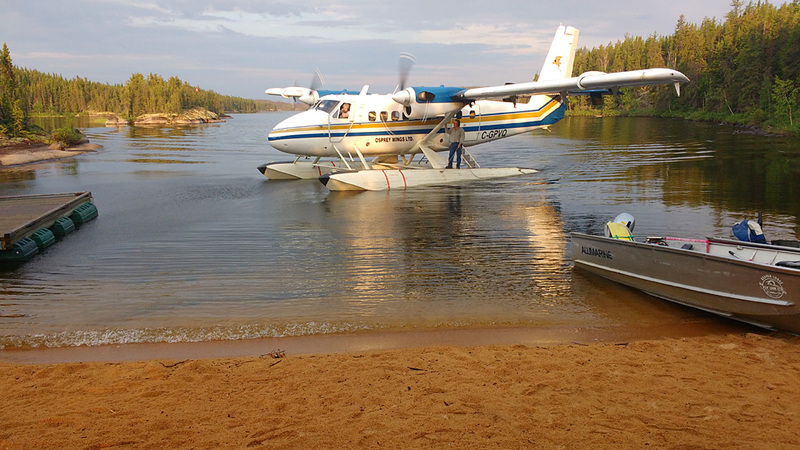 Our guests are flown to the lodge by Osprey Wings Air Service out of Missinippi. 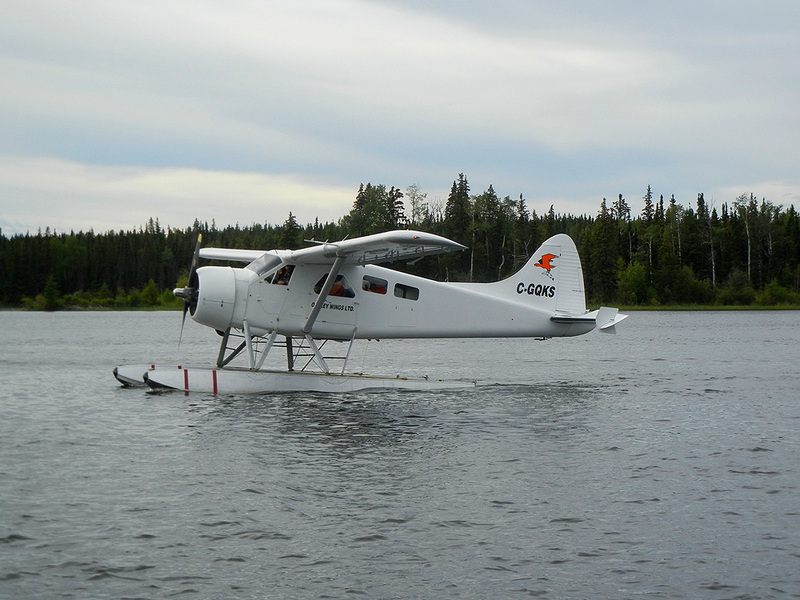 The owner Garry Thompson has around 10 floatplanes. The size of the group being flown in will be the deciding factor on which plane will be used. Osprey Wings will fly our guests to and from Missinippi or Laronge. The cost of flying is what dictates our rates.  · A goup of 2 to 3 people will get flown in with a Cessna 180 or 185. 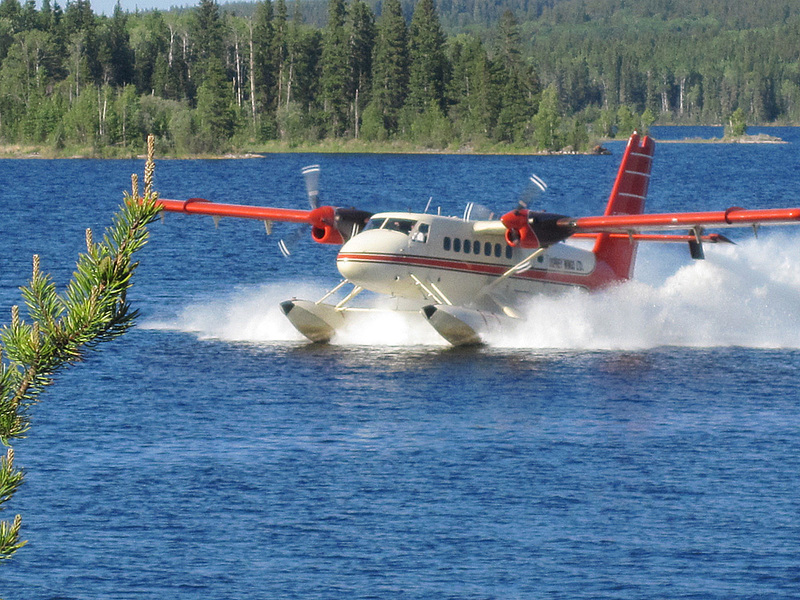 · A group of 4 will be flown in with a DeHavilland Beaver. 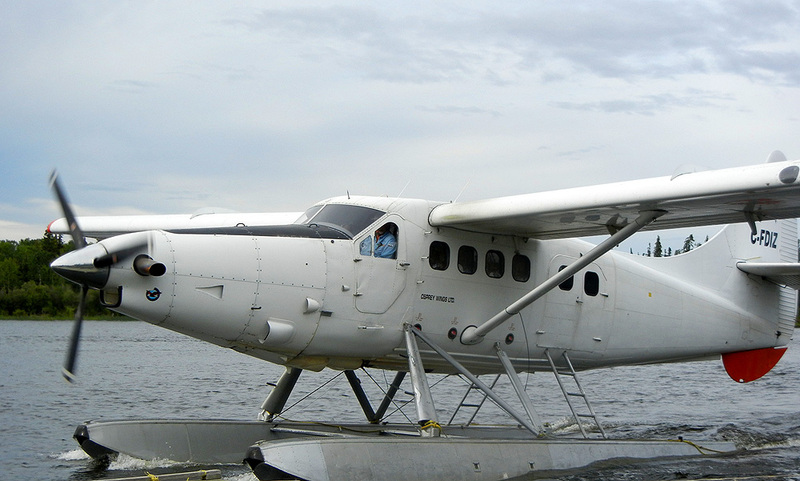 · A group of 5 to 7 people get flown in with a DeHavilland Turbo Otter. 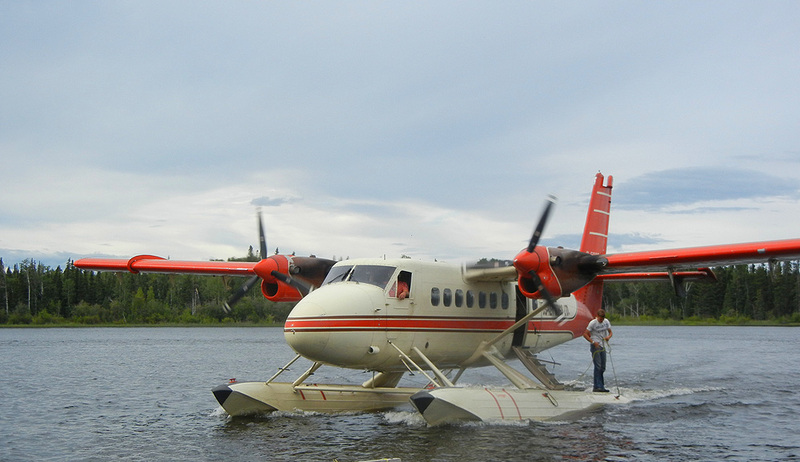 · A group of 8 to 10 people will be flown in on a Dehavilland Twin Otter, which is shown in the picture above.